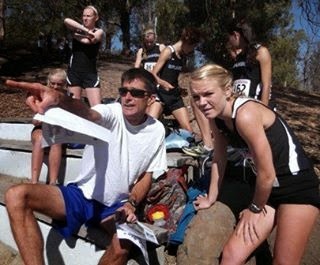 Today we chat with Branson School coach, Steve Reinertsen (left in photo directing 2014 Branson grad and 3-time state XC champion, Julia Maxwell). He is a 1982 graduate of the school who has coached there multiple times including his current assignment which started in 2010. Last season, his girls won their league championship (MCAL), finished 2nd in NCS (resting their #2 runner Anna Harleen) and won the school's first state championship in cross country. 1) What was your own athletic experience in your youth? What sports did you play? I played football, baseball, basketball and soccer as a kid. Dave Nelson coached me at Ross School. He showed me what a little gruff TLC could do for a kid. George Olive coached me at Branson. I wanted to be like him when I grew up—smart, irreverent and kind. Not quite there yet, but still trying. 3) What led you into coaching and did you have other experiences before Branson School? I started at Branson as an assistant when I was a senior at Cal. My good friend, former Branson teammate, and flat-out idol Pete Mclaughlin asked me to help, and I was hooked. I worked for Pete from 1985-1987. In 1992, Branson athletic director Tom Ryan called a week before the season, saying the head coach had quit unexpectedly, and asking if I could come fill in. I thought I was just going to do it for that one year—I was about to get engaged and figured the stipend could help with the ring—but I ended up staying through the 2002 season. I stepped away at that point because my wife and I had two young sons, and she thought I should be spending afternoons with them rather than with other people’s kids. I coached lots of my sons’ youth football and baseball teams, and thoroughly enjoyed that, but also always hoped I could return to Branson once things calmed down on the home front. During the ’09 xc season, I opened the sports page to see that Branson was now forfeiting races, meaning they had fewer than five per gender. That broke my heart. I showed it to my wife, and she said our boys were old enough, I could go back to it. 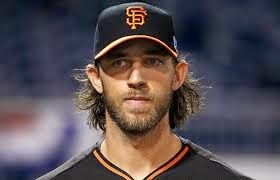 I called Tom, and he said the door was wide open, so I returned for the 2010 season. 4) When did you start coaching at Branson and what was the state of the program? The program was robust when I ran from 1978-1982. It was in good shape when I worked under Pete, and we were solid from 1992-2002. As I said, it was in a real down cycle when I came back in 2010. 5) What changes did you make? What did you keep the same? Who were the runners that really bought in to your program and had a big impact to your success last season? I don’t know that I made any changes. I just came back and did what I’d always done, which was try to attract runners, and coach ‘em up, while making it as fun as I could. Julia Maxwell, three-time D5 state champ now at Stanford, and Anna Harleen, who finished second to Julia at state her junior year—and we were fourth!...that tells you something about the importance of a full team, went one-two and still didn’t win the thing!—and now runs for Williams, were freshmen in 2010. They were our pillars, but their classmates Allie Williams, Sophie Breck and Sayles Day were also a huge part of the renaissance. 6) Your girls won the state division V championship last year. When did a state championship first appear on the radar for you and the team? Looking back, what would you say were some of the key aspects that led to the championship? State championship first appeared on radar in 2011, when Julia won state and Anna finished 9th. Trick was just to get a fifth runner, really. Would have had it easy in 2012, when Julia and Anna went one-two, but no fifth. Got a freshman last year, Ashley Delgado, who ran fourth for us, and helped us over hump, as did #5, Lizzie Reeves (Ashley not with us this year unfortunately; playing volleyball instead). We might have even been a little bit cocky at beginning of ’13 season, thought we had real good shot at it, but then both Julia and Anna got hurt, and so it was very touch and go. Championship itself was a delightful surprise. 7) What would you say are the positives and challenges of coaching at Branson School? Coaching at Branson is great in many different ways. Our daily training grounds are amazing—five minute jog on paved roads gets us to Phoenix Lake, gateway onto Mt. Tamalpais...hundreds of miles of trails and fire roads (Friday we did our annual Branson-to-beach jaunt, running from school to Stinson Beach). The kids are fantastic—smart, conscientious, funny, ambitious, hard-working, wholesome and thoughtful. Families very supportive and appreciative. Also very rewarding for me as an alumnus, someone who ran on team, just the continuity and tradition. Fun to coach kids of parents who attended Branson with me. 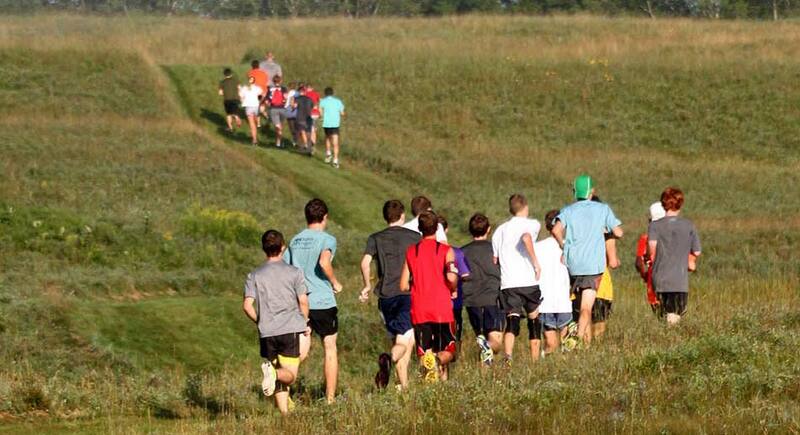 The main challenge is finding and retaining enough talented, committed runners. School size 320, many of whom have very rich, full lives, so it can be hard to scrounge enough sometimes. Club soccer for girls the bane of our existence. 8) What does a typical training week look like for your team? What days are the workouts? Typical workouts? Long run distance for most varsity athletes? Strength work? Our Marin County Athletic League races are usually on Thursdays. Monday is generally a max VO2 day, anywhere from two to three miles worth of 400s, 800s, 1000s. We’re lucky—we have a shaded and secluded flat dirt road we jog out to, we call it our ‘job site,’ where we run our repeats. We mark every 200m, so all the kids ever have to know is their 200 split, plus the amount of rest; keeps things very simple. Paces are individualized, tied to recent race performance. Runners train with similar-speed runners (co-ed). Usually three or four runners will miss Monday, in which case we’ll give them an abbreviated speed workout for Tuesday—not ideal, but better than nothing (not enough to waste them for Thursday race). Tuesday is typically medium, Wednesday easy (we do progressive muscle relaxation and race preview in classroom before easy run). Race Thursday. Friday either easy for six-day runners or “long” (all relative) for five-day runners. Sat optional long day for six-day kids—try to run somewhere special, love west Marin in particular. Long is 8-12 miles, usually pretty hilly and often trails, given where we are. Emphasis more on fun and nature than training quality, but still covering ground. Sunday off. No real strength work. Branson has a great trainer, and I could do a better job utilizing him, but not there yet. Try to keep things as streamlined as possible for our athletes (seem to attract a lot of academics-first runners, so they appreciate our 4:40pm short-day conclusion/5:10 longer-day conclusions). 9) Who are the coaches that have been mentors for you and that you lean on to this day? Tom Ryan was Branson’s athletic director for over twenty years (he’s also coached both boys and girls soccer at the school forever). He now works in Alumni Affairs, but he’s still the best man/coach I know. Even when I took time away from high school coaching to raise our young sons, I’d still go up to school often, just to talk with Tom. He has two sons, a few years older than my boys, so he was a great resource in that department (always insisted family comes first, well before work), and he’s just so wise, humble, and encouraging. Hanging with him is an incredible privilege. Jonas Honick is another mentor. He was a longtime basketball coach at Branson, now “just” a history teacher. He won three state championships, and has been described as “the most intense guy you’ll ever meet.” In some ways we are polar opposites, but I still admire the heck out of him, love his keep-it-real sense of humor and feel honored to be his friend. He’s taught me to be true to myself, and to disregard the external chatter. I enjoyed coaching his daughter Rachael a decade ago, and this fall she’s been a great help to the team as an assistant (we lost her last Friday unfortunately...after a couple years in Senegal with the Peace Corps, she got her master’s in public policy from Duke last spring, and finally got a job in her field last week, in Washington DC). 10) What would you say are the biggest changes you have made as a coach from when you started coaching to now? Email and internet have probably prompted the biggest changes. Neither was around when I first started. Plenty of positives—can communicate with runners and families much more readily than could back then; fun to get race info and results over the web—but sometimes it feels burdensome too. More work. More generally, I’m probably more easy-going and understanding than I was as a younger man. I’ve had kids of my own, and I remember what it was like to be a kid myself. I now realize that I’m supposed to be there for them, not vice versa. Won enough, lost enough (not just xc, but football and baseball too), that can pretty much roll with anything; wasn’t true when I was younger. Took it more personally, needed them to make me look good. 11) What is your advice for a coach taking over a Division V team with aspirations of competing at the state level? Advice for a coach taking over a D5 team with state aspirations: chuck the aspirations...and I say that only partly tongue-in-cheek. I really feel like I just did time, learned the craft, and then one day, all these neat, talented kids showed up. I don’t know that I could have made it happen any sooner than it did. Maybe someone more driven and less slacker than I could have done it. If a coach loves to run, and loves kids and families, he or she will enjoy the job, and if he or she is lucky, at some point, the right athletes will appear and they will take her on a ride she’ll never forget. At least that’s what happened for me. Let's hear about your best workout this season. What did you do? At what pace? How much rest? What is the reason for the workout? Benefits? How long was your warm-up? Cool down? Have you repeated this workout during this season? Improvement? HOKA One One and Heart & Sole Sports invites all middle school and high school individuals and teams to join us for The Night of Two-Mile Madness. 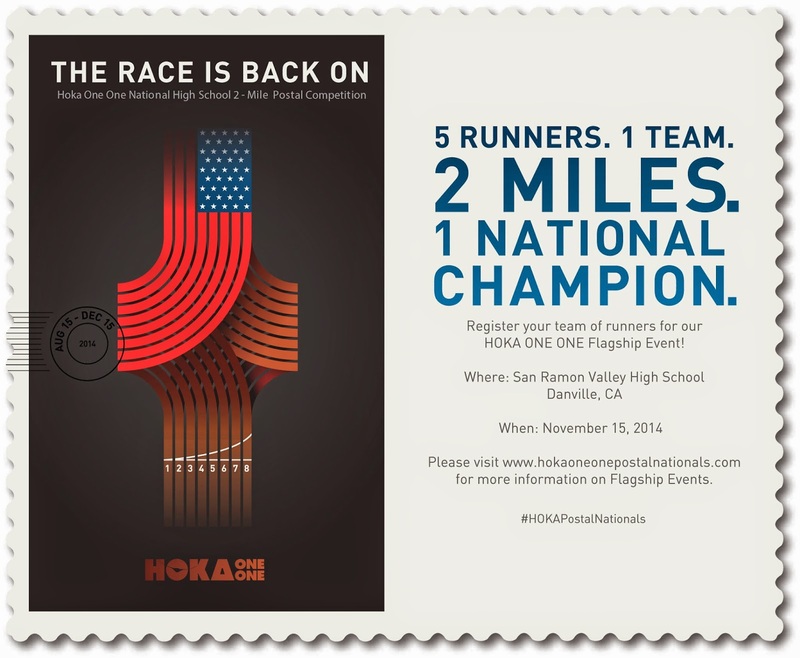 The HOKA One One National Two-Mile Postal Competition has tapped Santa Rosa Junior College as an affiliate site, and we are excited to crank up the stadium lights and let the fast times roll! We will be running The Night of Two-Mile Madness for individuals and teams of all levels, with the top-5 times from complete high school teams being sent in to HOKA One One for the National Two-Mile Postal Competition. Proceeds from this event will benefit the new Heart & Sole youth running club. Coaches, if you have athletes interested in participating, please contact Chris Puppione at coachpup@gmail.com. We have a very knowledgeable group of coaches that visit this site so if you have any questions concerning running, training, strategy, diet etc., feel free to add your question in the comment section below. Meet will start at 9am. Feel free to comment on the teams and individuals below. Did I miss anybody?